1. What do you see as the major issues in the dance world today? I see a very deep-rooted issue, which has to do with the ability to have a vision or dream, and stick to that goal over the long-term, which is nearly impossible in our fragmented society and in our culture today. This is more about the creative process than economics. 2. How are changes in arts funding impacting careers? The thing about the lack of arts funding, is there’s a lack of time to rehearse and to create, therefore there’s no process happening. We’re losing the ability to coach work, which is how you develop the art, and if you can’t do that, you basically have a sort of half-baked creativity that gets thrown up on stage. What that does to young dancers, is require they learn quickly and they can easily get injured. The industry is trying to figure it out. In fact I was just resetting a piece I choreographed for a company where exactly that happened Companies are saying, “how can we deliver the same product in less time with less funds, and maintain the same standard?” It is emblematic but companies have more productions to deliver with the same or less time, and maybe more dancers, but also more dancers they have to replace. 3. Is the field more entrepreneurial? I think the field is very entrepreneurial, in the sense that there seem to me to be more dancers wanting to be choreographers and directors. But it doesn’t mean creators are having an easy time producing good work, or much due to the lack of funds, and more people wanting exposure. 4. Is social media changing the relationship with the audience? The only thing I can say in regards to audience building for a dance company is that with the onset of ‘So You Think You Can Dance’ and ‘Dancing with the Stars’, it’s the first time in America where dance has been on a main channel. So now it’s okay to be a choreographer, and for a guy to have tight pants on and dance, but I don’t think that’s necessarily increasing the performing arts audience. Schools are growing. But now there’s a dichotomy in what they’re teaching – there’s the traditional route, which is ballet, modern, musical theater; and then there’s the commercial route. There is a whole new dance competition circuit evolving that I am not really a fan of. These are big industry, as the recent article in the New York Times said, where you’re taking young kids, teaching choreography and claiming it’s dance. It’s not. It’s really based on gymnastics, then they teach some pirouettes, some jazz and some hip-hop moves, and have these thirteen-year-olds learning choreography with no foundation. I think everyone is trying to figure out how to use social media. Certainly Justin Bieber got discovered, and Susan Boyle wouldn’t be Susan Boyle without it. I just don’t know how that translates for others. I do think you need to put your work on the web, since there are now scouts who look for talent there. I think it’ll work well for some and not for others. In a way, there are more outlets and opportunities. 5. Why did you pursue your career in such a multifaceted way? My aesthetic to blend and work in a multifaceted way actually started when I was struggling as a ballet dancer to get into a company. I was too small for most directors and, even though I was a virtuoso and powerhouse (not words you usually attach to ballerinas), I was outside the box. My dream was to one day have a company of misfits – versatile authentic artists – who were also outside the box. That turned into everything I ended up doing as a choreographer, director and producer…..mixing dance forms – and working in a cross-pollinating way. It creates a unique product that can’t be repeated – something you can only experience and take in the magical impact of once. This may also be the future. 6. Are there trends you find exciting? Yes and no. One trend is something I started doing in the 80’s when I helped revitalize the Joffrey when it moved from New York to Chicago and I was the associate director, called a pickup company. It’s basically a format and paradigm used now, but was a larger version. It’s not always good, because you have to assemble people who have lots of other jobs to have them do a particular show, and then you disassemble. It’s very fragmented, and what you assemble appears to be a company, but in fact it isn’t. The upside is that’s eventually where funding’s going to be, and it’s what I’ve been trying to sell and market. I’m not 100% successful at it yet, but the concept is to support projects instead of funding a company all year round when in actual fact it doesn’t work all year round. When you realize that if you have six months of work and you’ve got four seasons as a ballet company that are 4 days each, that’s hardly a year’s worth of work for you to be spending on an organization’s administration. There’ll be another way of working in the future where people just fund individual projects that will be assembled for the time needed. Since we’re also working more globally, I see these projects funded internationally. That’s another conversation, but what it means in terms of trying to put a piece together when it’s fragmented, is you can’t really get to the core of what it is in the way you could before. 7. What’s being done to bring new audience to dance? I think organizations are doing more educational and outreach work, as well as finding ways to make programming accessible. I think artists are beginning to create more full-evening work, and returning to story driven pieces – I know I am. 8. How can dancers create opportunities to showcase work? Studio showcases, workshops, appearances on fund-raising events. Creating video tapes of the work on their Sites. Having a website. I’ve discovered most small and new companies that work on a project basis are creating without a full deck of cards (or any deck!). Dancers are busy with multiple jobs or, if in the area of a dance company, trying to juggle opportunities for money or exposure. Either way, it is impossible to coordinate schedules for one person or twelve, studio space (which there’s a dearth of), and cohesive time. It used to be you’d look for somebody with a specific job description to be executive director, development person, or a performer and they’d need to of course have the education and experience. The new paradigm is to look for someone who has multiple skill-sets organizationally and artistically. Then hire someone else who has a different skill sets to cover five other jobs. All of a sudden, I’ve got three people and myself, and we can do the work of a forty person staff, which is what I do now successfully. That’s where I think we need to go from an organizational point of view. Ann Marie DeAngelo, is a choreographer, director and producer. She was a principal dancer with the Joffrey Ballet, whom Time Magazine called “one of America’s most promising ballerinas”. She was featured in Backstage as a “multiple-career artist”, and her dance career spanned almost three decades. 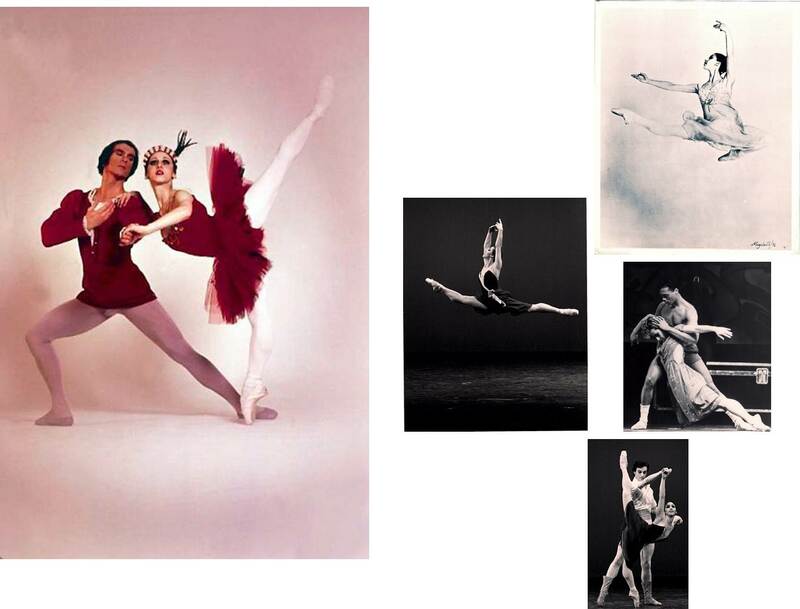 As leading ballerina with the Joffrey Ballet she performed in works by the most renowned choreographers including: Balanchine, DeMille, Robbins and Tharp. She performed internationally and later founded her own experimental dance troupe called Ballet D’Angelo, and she was founding Artistic Director of Ballet de Monterrey, the first privately funded arts organization in Mexico; and was Associate Director of the Joffrey Ballet. One current project is, IN THE MIX, a story about dancers from multi-genres who are at the top of their fields, exploring the trajectory of what happens as each pursues their career.